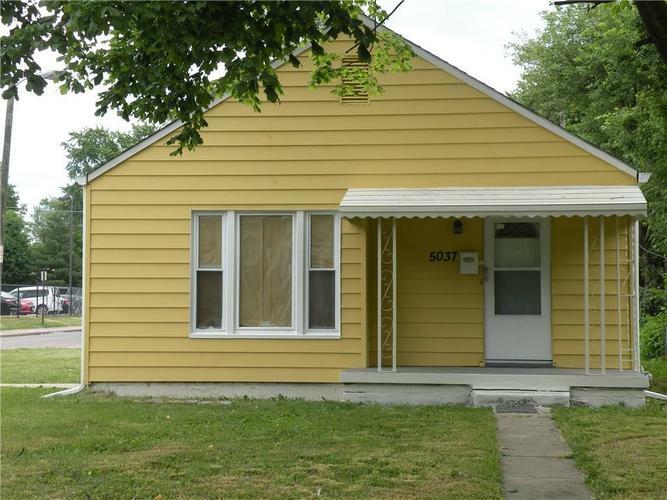 Nice two bedroom one bath home in the near Broad Ripple area. All appliances in the kitchen are stainless steel in good working condition and stay with the home. Nice living room and dining room. There is a full basement with new furnace and washer and dyer hookup on one separate side and the other side can be used as a family room. New carpet throughout the main level. The inside and outside are freshly painted along with the detach garage. The garage is sold as is. This home is ready to MOVE IN. Listing provided courtesy of Edward Vance & Associates.